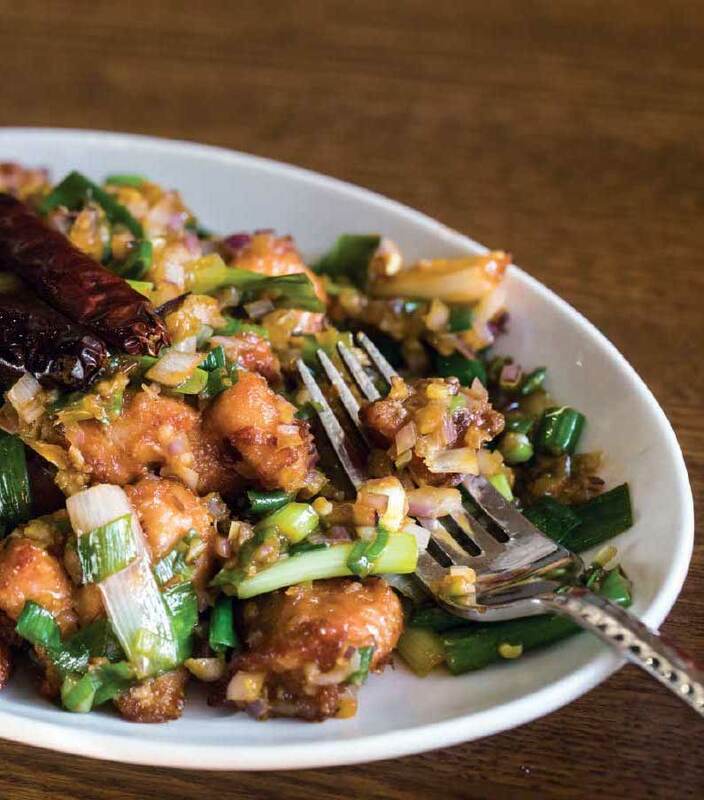 Ramakant Kharel, the owner of the aptly named Red Hot Chili Pepper in Evanston, isn’t interested in re-acquainting you with your favorite Chinese food staple. 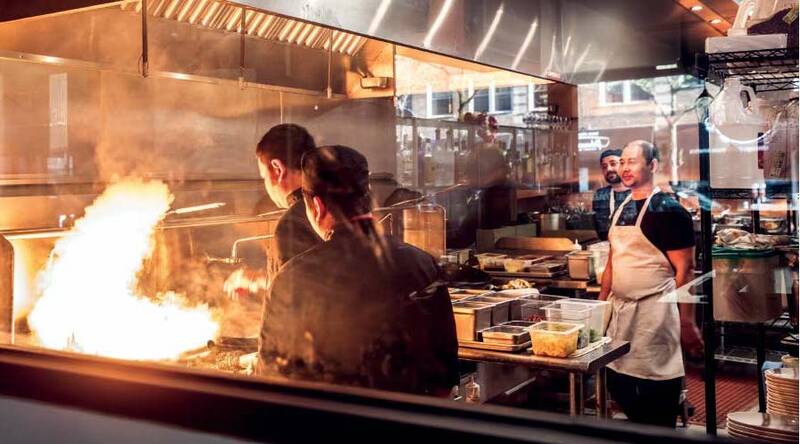 Nor, as his surname might suggest, does he want to dish up additional helpings of the traditional Indian curries, samosas, and kebobs that have made his other Evanston restaurant, Mount Everest, a mainstay for years. Kharel has bolder plans for his new spot, which seeks to introduce local diners to what he says is a 500-year-old cooking tradition that’s rarely tasted in these parts. In layman’s terms, it’s referred to as Indo-Chinese cooking, but Kharel’s offerings trace their roots back to the Chinatowns of ancient Calcutta, when the cooking techniques of a small band of Chinese migrants caught the attention of local Indian chefs. Over time, native Indians became so enthralled with the culinary wizardry of their new neighbors that they assimilated their dishes into their own repertoires, peppering them up with an explosive bounty of local spices. The result was a wholly unique take on Chinese fare—some might call it a culinary dialect—that reproduced Asian flavors with a decided Indian soul. Red Hot Chili Pepper’s menu is roughly divided into small plates and larger entrees, which allows guests to choose between a tapas-style feast or a traditional appetizer/entree progression. Kharel’s small plates tend to be drier and less saucy than the larger counterparts, but the degree of spice can be refashioned into mild, medium, or spicy offerings. What’s unavoidable is how much of his menu delivers Indian-influenced yet indisputably Chinese flavors that are both comfortably familiar yet distinctively exotic. You can taste, for example, the familiar gloss of oyster sauce and garlic in the house’s dry chili chicken platter, but the pungency of the spice rub and the lilt of heat from the chiles is uniquely Indian—a bold rush of warm Indian spice dancing in time to pure umami goodness. Order the Konjee crispy lamb, cut into ultra-thin slivers, and you’ll detect the iconic crunch that defines so many Indian snacks and staples like poori (fried Indian flatbread) while drinking in the classical Chinese mix of soy and green onion. And then there’s rich batter that encases the house’s “corn pepper salt,” tiny ears of corn set in a soft Hong Sue crust, that’s set in a sauce made with red pepper, chilies, onions, and an undercurrent of ketchup-like sweetness. The menu is overseen by Executive Chef Bharat Dhamala, an ex-pat from Calcutta who has agreed to help Kharel launch a series of Red Hot Chili Pepper franchises in the United States. You can rest assured that you’re getting the real thing here because a number of Red Hot Chili Pepper locations are sprinkled across Calcutta, not to mention a few spots in California and Texas. You can tell a Red Hot Chili Pepper location, a mile away. They all boast two at least two large murals of the Chinatowns located in Calcutta—one a black-and-white illustration and the second, a more painterly depiction that leans on the mustardy hues you’ll find your plate. They will be, if Kharel has its ways, a symbol for Red Hot Chili Pepper locations, not unlike how the giant golden arches have become attached to every McDonald’s location. And judging by the food, he might have a bright future brewing. Consider, for instance, the house’s deliciously rich Manchurian cauliflower entrée: Big florets of cauliflower set in a rich stew booming with cilantro, scallions, and ginger. It’s a vegetarian’s dream with gravy as thick as anything your grandma could whip up for Thanksgiving. 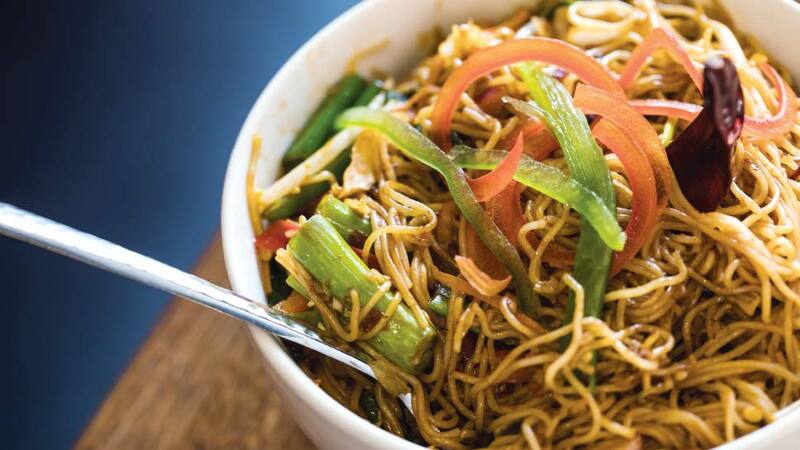 Although milder palates might be tempted to try the hakka noodles, a gently flavored Indo-Chinese noodle, the real find is the chili garlic noodles, which are liberally coated in a rich paste of fried garlic, crushed chiles and onion. But the dish of the evening was chef Dhamala’s shrimp sauce seafood platter, which simmers together breaded slices of seafood and shrimp with big chunks of green and red peppers, onions, and mushrooms in a sweet-spicy sauce that emulsifies together chili sauce, soy and a hint of XO sauce for sweetness. Desserts can be a bit on the sweet side, although honey lovers might enjoy the simple pleasure of deep-fried darsaan noodles set next to scoops of ice cream. It’s a cooling finish to a red-hot new entry into Evanston’s quickly diversifying ethnic food scene. Red Hot Chili Pepper is located at 500 Davis Street, Evanston, 847-563-8085, rhcpchicago.com.